The Arts & Disability Program Project (ADI) empowers the creativity of artists with disabilities, promote artistic experiences for audiences with disabilities and enhances the disability-related capacity of arts organizations. 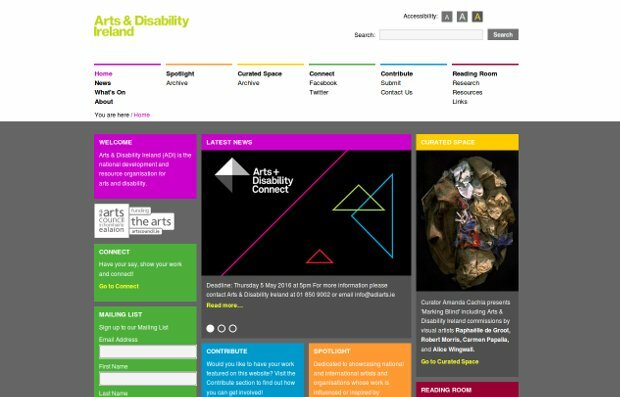 Working in partnership and collaboration with both the arts sector and the disability sector, ADI involves and engages in the arts people with disabilities: that can be artists themselves, audiences or art workers – while at the same time functions as a resource for those of the arts facilitators (galleries, venues, local art offices, arts organizations and national cultural institutions) which seek to include and engage people with disabilities in the arts at all levels. The organization works across all art forms : architecture, circus, dance, film, literature, music, opera, street arts and spectacle, theatre, traditional arts and visual arts.